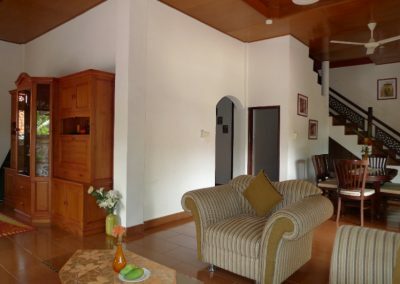 Two floor villa with a total of 160 M2 living space. 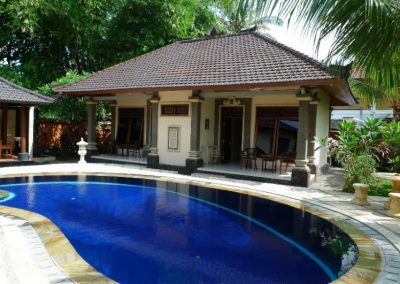 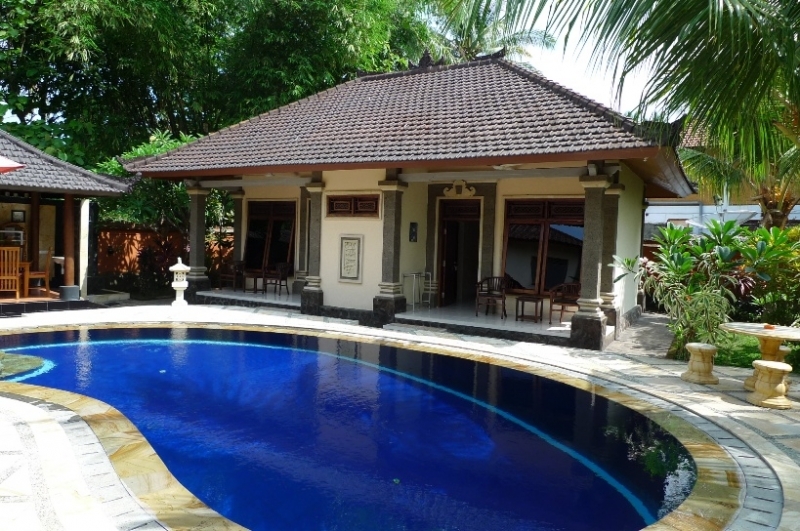 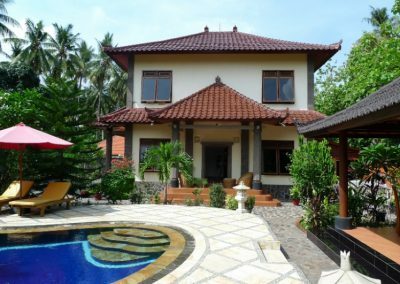 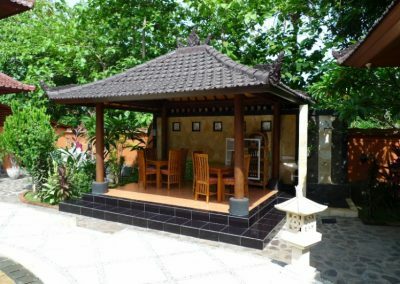 The Villa in Balinese style with western standards is built on a plot of 900 M2. 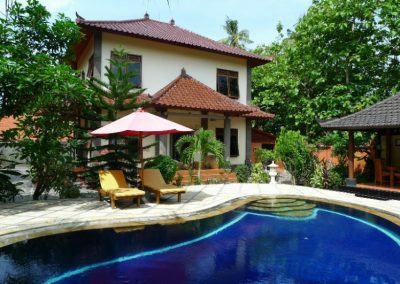 The kidney shaped swimming-pool is built with a large pool deck and outside breakfast area. 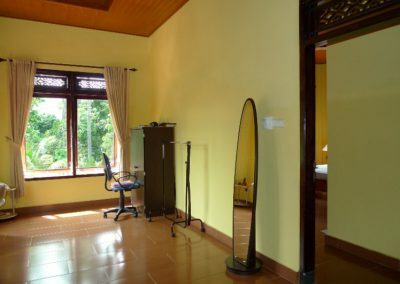 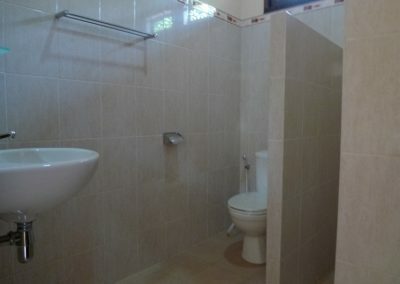 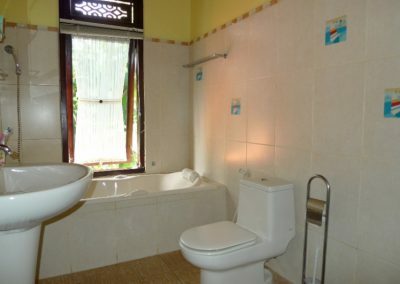 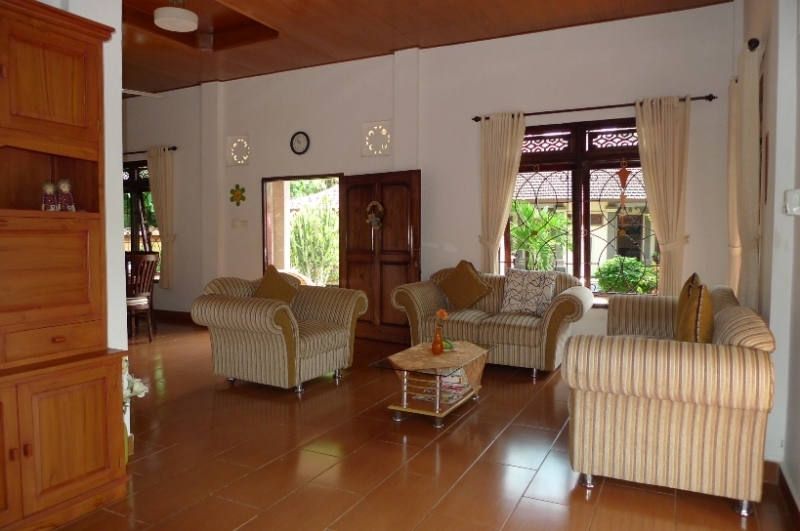 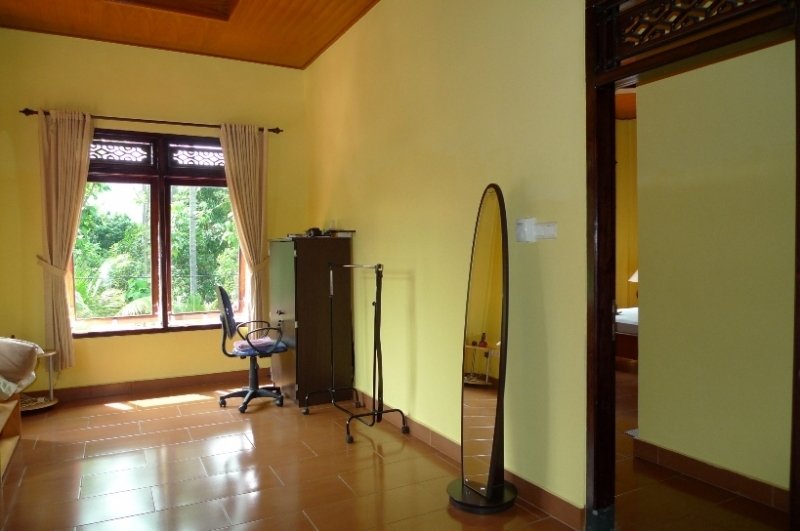 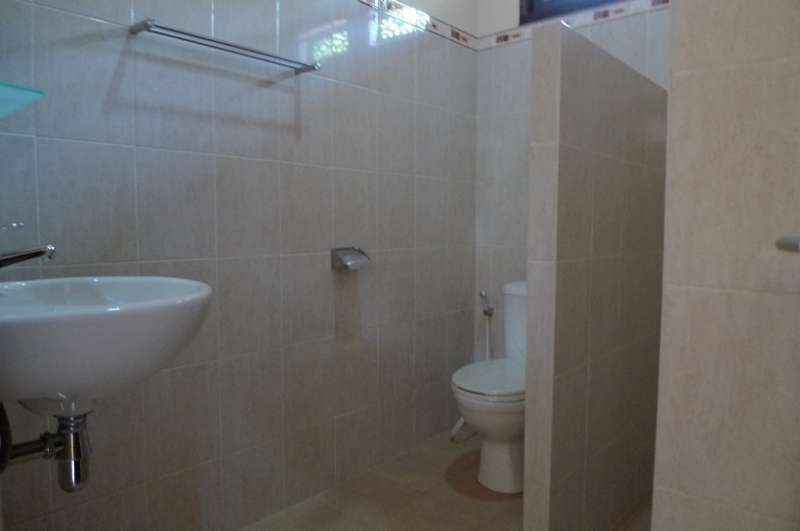 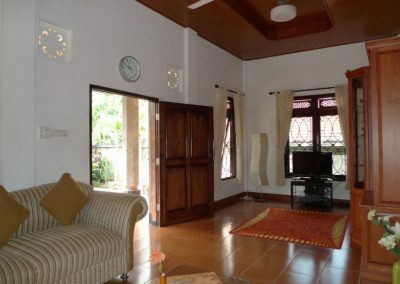 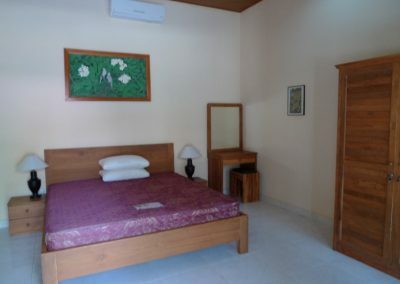 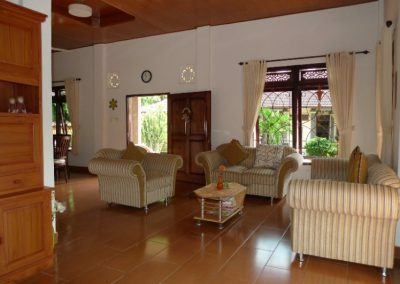 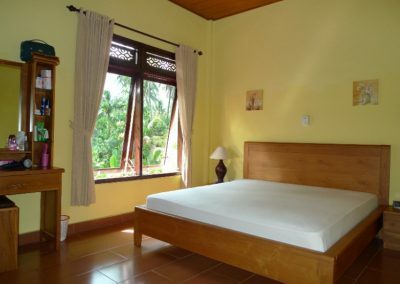 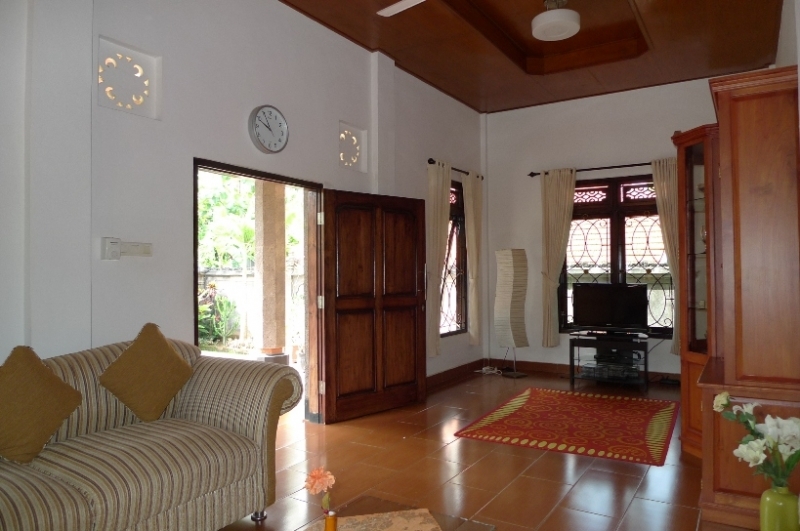 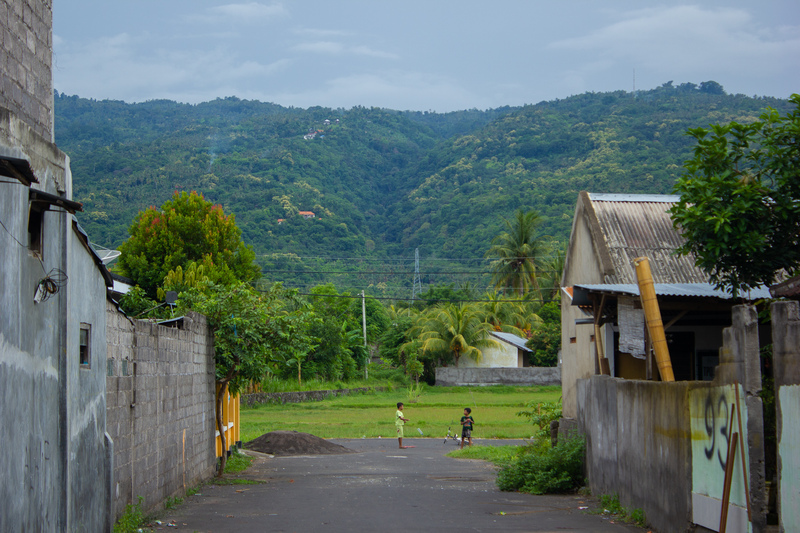 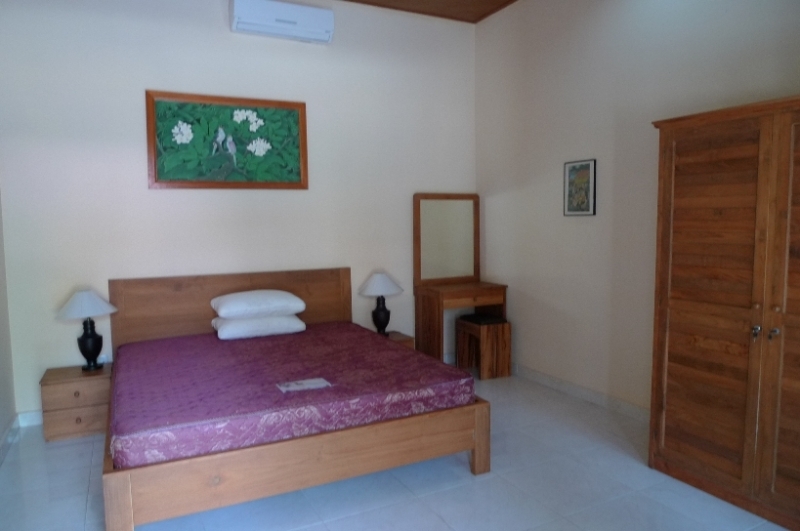 There is a separate guesthouse with two rooms, bathroom en-suite with air conditioners. 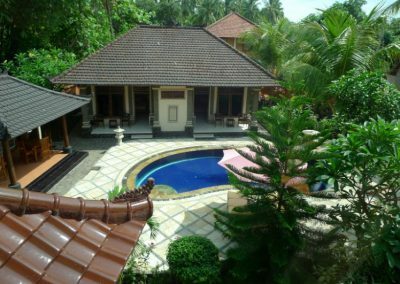 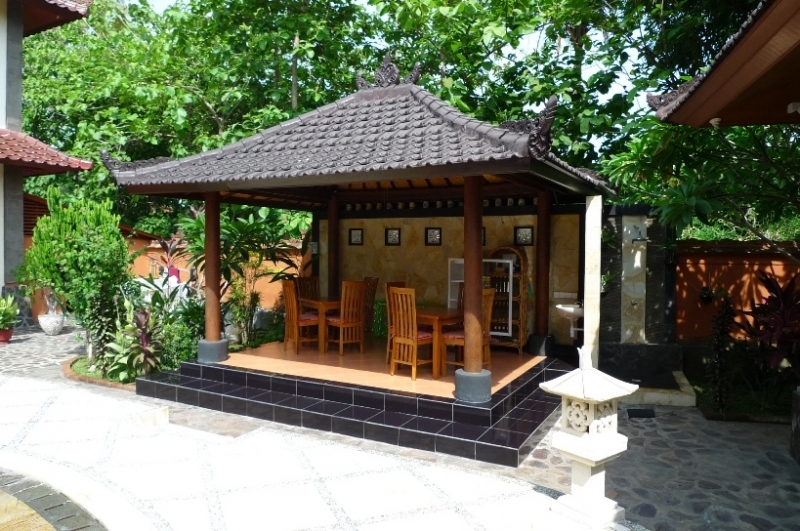 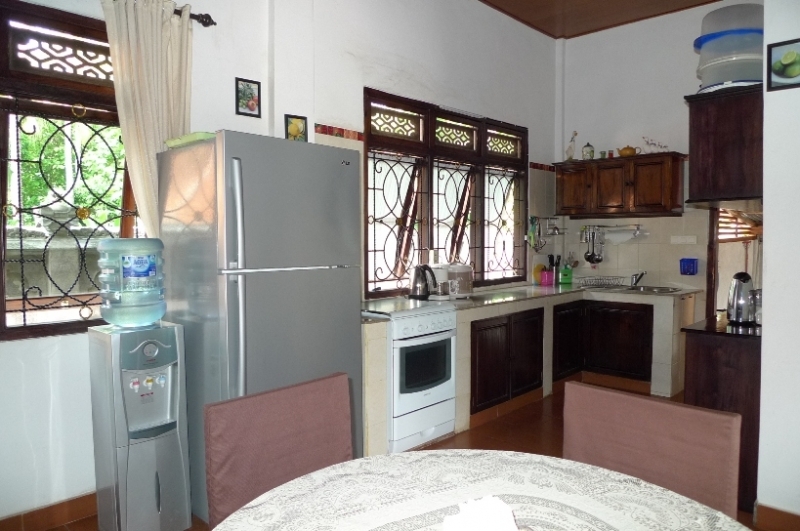 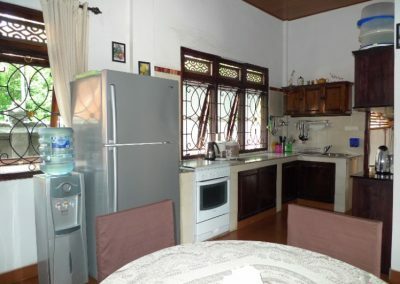 The location of this villa is on prime location, central Lovina.